Now, for the first time, everything that YouVersion has to offer—the interfaces at YouVersion.com and in the Bible App™, technical support, communication, of course Bibles, and so much more—are all available completely in Dutch. 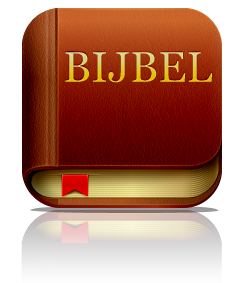 While we’ve offered a Dutch language option at YouVersion.com for some time, the website is just one small piece of the YouVersion world. Menus, Buttons and Controls in Dutch. Thanks to our world-changing community of YouVersion volunteers, you can now experience the entire YouVersion user interface in Dutch, directly on your iPhone, iPad, iPod touch, Android, or BlackBerry device. Simply set your default language to Dutch. Communication in Dutch. At the top right of our blog’s English version, one of the alternate languages you can select is Nederlands. Whether you start there or simply jump straight to the Dutch version, you’ll find blog posts relevant to you, written in Dutch. You can also connect with us in Dutch on Facebook or Twitter, or email us a question in Dutch. And we’ll get back to you—in Dutch! How do we do it? We couldn’t… except that amazing Dutch-speaking YouVersion volunteers are passionately devoted to assisting you in your own language. Dutch Technical Support. If you have any questions about YouVersion.com or about the Bible App, try visiting our all-new Tech Support site, also available completely in Dutch. And even if you don’t find what you’re looking for there, send us your question in Dutch, and Dutch-speaking volunteers trained in YouVersion support will gladly get back to you. Your story is an important part of YouVersion’s story. If you’d like to share how YouVersion has helped you connect with the Bible, please come tell us on Facebook and Twitter. And if you have friends whose heart language is Dutch, please direct them to the Bible App and YouVersion.com, too. Our desire is to help as many people as possible freely, easily engage with God’s Word, all over the world, and in any language. Your participation makes that happen. We’re glad you’re here! We couldn’t be happier to welcome you, our Dutch-speaking friends, to our growing YouVersion family. Please keep checking our blog in the coming days, and we’ll share more details with you about all that this Dutch language launch means. And most of all, please start sharing and getting to know other people in your YouVersion community. Welcome!